Anila's award winning pickles and chutneys are handmade, using traditional methods, from single fruits and vegetables without any preservatives or additives or added water. They are free from dairy, gluten, onion and garlic. With 14 varieties to choose from, there is something for everyone from mild and fruity to the hot and spicy. You need only to taste them to appreciate the difference. Anila says: "I believe I can bring delicious tastes and flavours to people looking for authentic Indian cooking." 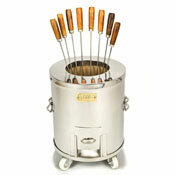 As well as complimenting curry dishes and poppadoms, they are great with meats, cheese and sandwiches! 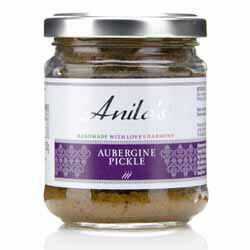 Anila's Aubergine Pickle is medium to hot: nice and spicy combined with a little sweetness. Try it warmed up with spinach as a side dish, or as a filling in pies and pasties. It is very tasty with fish dishes. Ingredients: Aubergines 79%, Rapeseed Oil, Sugar, Vinegar, Green Chillies, Ginger, Chilli Powder, Salt, Cumin Seeds, Spices. made in a factory handling cashews, almonds, sesame seeds, mustard and celery. Once open, keep refrigerated and use within two weeks. Suitable for freezing. "Dear Spices of India, Ordered several items on Saturday, delivered on Tuesday as promised. 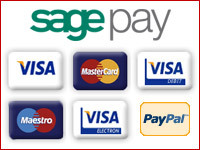 Very good service, very prompt. Without any doubt, cheaper than buying in any supermarket, and in most cases, cheaper than my local stores. I shall buy my spices from Spices of India from now on, and can recommend this company to one and all. Well done!"